Attorney Jerry Friedman supports motorcycle clubs in New Jersey. See details here. Find him on Facebook and Twitter. Motorcycle Coasters® is pleased to announce that we have become a sponsor for Ronda Brown, the first female motorcycling ambassador for Law Tigers. See the full size photo of the Rolling with Ronda Motorcycle Coasters® here. Follow Ronda on Facebook, Rolling with Ronda, where she posts about her travels, rallies, rides, and events she attends. All Prices U.S. Dollar. Prices effective April 1, 2019. · 11 full boxes or more qualifies for hundredweight shipping. Call for quote. You provide print ready JPG or PNG image, 300 dpi (minimum), to orders@crownadv.com. Download, complete and return Order Form with Payment Guarantee. Do you qualify for one of our discounts? Click the appropriate link to find out. The Motorcycle Coaster®, often referred to as a kickstand pad, puck, sidestand pad, or a kickstand plate, is specifically designed as a motorcycle kickstand support aide for soft surfaces and is specifically designed for imprinting. ABS plastic is non-conductive with limited abrasion and as durable as a standard motorcycle fairing. The Motorcycle Coaster® is a 4" diameter, decagon ABS plastic kickstand pad, one quarter inch thick with a ribbed back. It easily stores in fairing and clothing. The Motorcycle Coaster® is a functional, custom motorcycle accessory specifically designed for your custom imprinted message. Examples of custom imprinted, personalized Motorcycle Coasters® are seen at events all around the country, such as Bike Week in Daytona, Laconia, Sturgis and many more. 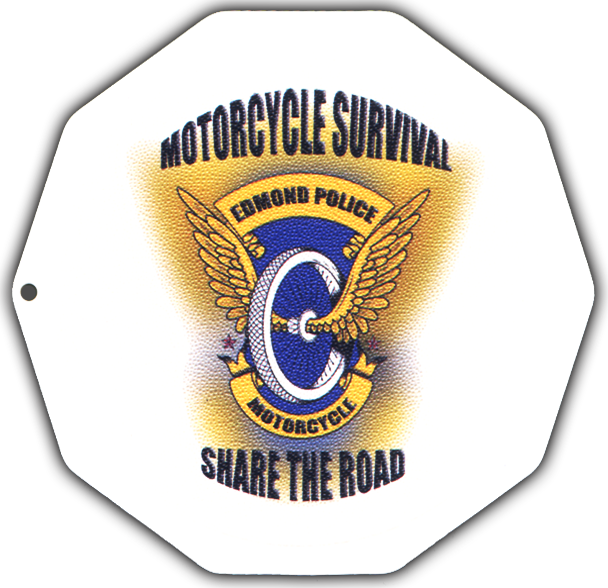 Shouldn't your motorcycle friendly business or organization offer your own custom imprinted Motorcycle Coasters®? Create A Collectable! 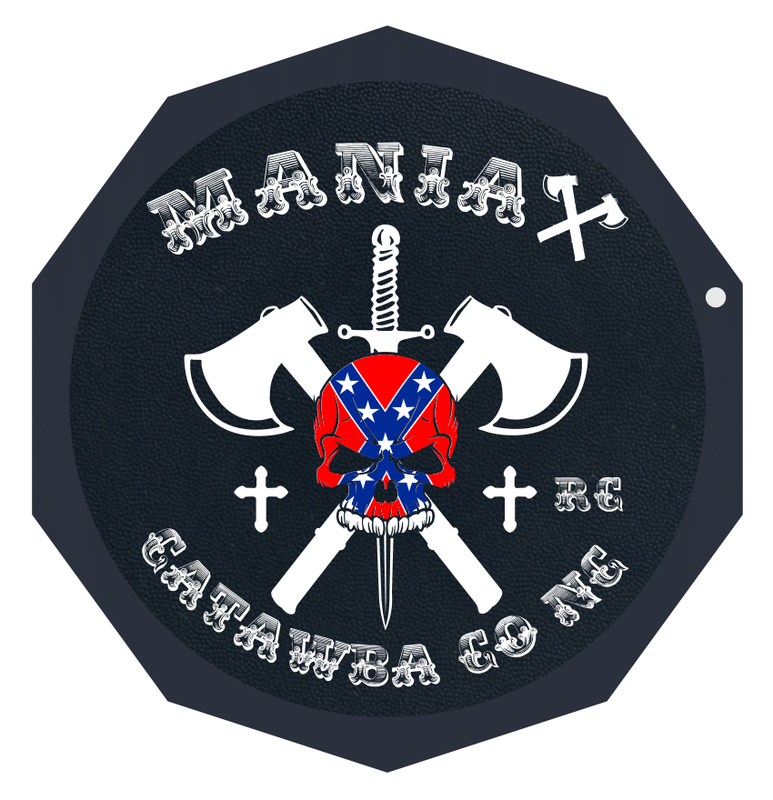 Our low minimum quantity economically allows for the creation of a unique keepsake for your Memorial Ride, Wedding, Anniversary, Graduation or any special event. In addition to its intended use, Motorcycle Coasters® are often used as drink coasters on desks, work benches and bars. Inexpensive enough to use as give-aways for your insurance agency, accessory boutique, repair shop, community visitor's bureau, attorney's office, Rider Safety Program, etc. They are collectable, as a reminder of one's attendance at memorable events, fund raising rides and rallies. Keep It Up with your own Motorcycle Coaster®!